Why use a broker to sell your aircraft? Why choose Metroplex Aviation? Is your aircraft model in demand? Are there few or many to choose from? Is it detailed, waxed and ready to show? Does it need avionics/systems repairs or upgrades? Is it competitively priced? Has it been accurately appraised and compared with similar aircraft for sale? Is it likely to attract buyers where it is located now? Does your locale have a large number of pilots? Relocating it to Dallas where there are a large number of potential buyers and where its two major airports makes it easier and less costly for potential buyers to come see it, and where there is a selection of mechanics that are available to perform a pre-purchase inspection means a quicker sale for you. Includes effective advertising, a prompt, courteous and professional response to buyers’ inquiries, detailed and accurate aircraft information and photos, knowledge of the aircraft model as well as competing aircraft models and awareness of competitors’ aircraft on the market. Aircraft owners cannot always promptly respond to a prospect’s inquiry or show their aircraft to a buyer on short notice or spend two to three days with a buyer showing and demonstrating the aircraft and managing the pre-purchase inspection and closing. I am available to respond to prospects during normal business hours, and I can be available with prior arrangement to show and demonstrate the aircraft any day of the week. Listing your aircraft with Metroplex Aviation allows you to avoid the frustration and conflict normally associated with marketing an aircraft and preserves your valuable business and personal time. Providing services and documents that protect the parties involved, including a Sales Contract, Bill of Sale, Aircraft Registration Form, lien releases, escrow closings & wire transfers, handled in a professional and timely manner, ensuring the buyer’s confidence. Buyers are more comfortable with and more likely to send a deposit to a known, reputable broker than to an unknown individual. I will research and monitor the market to determine how your aircraft compares to similar aircraft for sale or recently sold. I will therefore be able to advise you regarding pricing the aircraft. I am keenly interested in getting a fair retail price for your aircraft. I can also arrange to take trade-ins or sell the buyer’s aircraft as part of the transaction. A variety of print and internet advertising will be employed including a listing on my website. I also send new aircraft listings to a client list via email and maintain contact with a network of aircraft dealers and brokers nationwide, all of which gives me an advantage over an individual seller and some other agents. I have achieved a reputation for accurate representation of aircraft that I have sold. Having purchased many aircraft for resale over the years, I know how frustrating it is to spend time and money to travel and inspect an aircraft that has been misrepresented either knowingly or unknowingly. Providing honest and accurate answers and pertinent information to a prospective purchaser before he travels to inspect my aircraft ensures the buyer’s trust and confidence, increasing the likelihood that he will purchase the aircraft. This is a reason why listing your aircraft with a broker who has not at least inspected the aircraft and logbooks and flown it is not a good idea. How can he then accurately represent it? 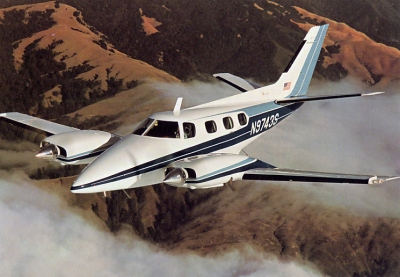 I am primarily engaged in aircraft brokerage and therefore do not have the conflict of interest that some other dealers have, and that is, I do not have a large inventory of new or used aircraft that I own and would rather sell first. And, some of the brokers that advertise a dozen or more aircraft for sale and do not have a sales team cannot effectively market and sell your aircraft. You aircraft will get the attention that it deserves at Metroplex Aviation. I can assist the buyer with financing, insurance, maintenance and aircraft storage and management in the DFW area. As a CFI I can also provide aircraft checkout and dual instruction to meet insurance requirements and can deliver the aircraft to buyer’s hometown. Dallas is easily accessible from almost anywhere in the world, located midway between East and West coasts. DFW International Airport and Dallas Love Field are both served by several major airlines. Making it easier for the buyer to see and inspect your aircraft usually means a quicker sale. Yes, you can save several thousand dollars by marketing and selling your own aircraft, but at what cost?